Visix, Inc. has launched four e-book guides as part of their new Digital Signage Masterclass Series. The guides provide practical, step-by-step advice on every stage of planning, buying, implementing and maintaining a successful digital signage solution. 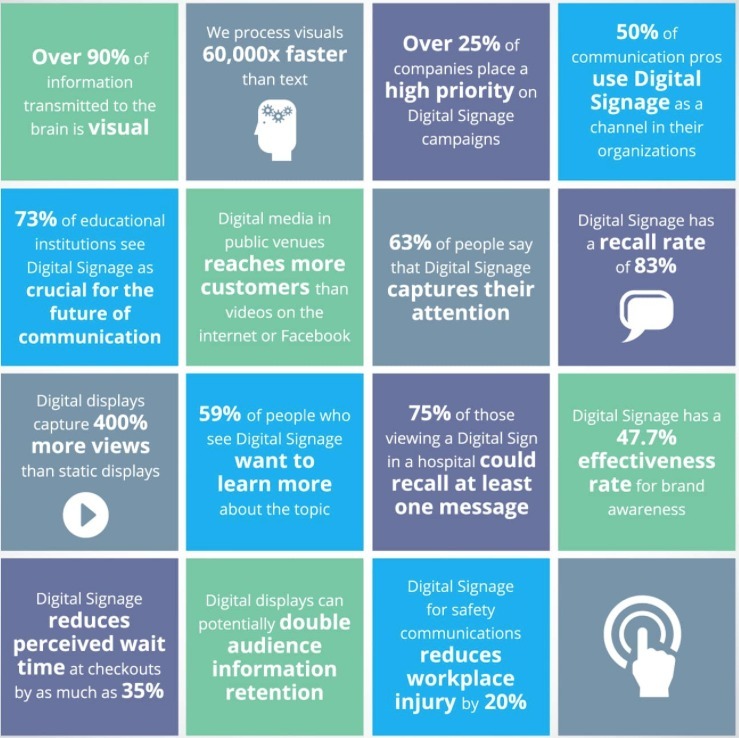 This is a terrific tool for anyone considering digital signage as part of their communications strategy. We always strive to support and educate our clients beyond the technology sale. It’s important to us that they have the tools and knowledge they need to engage their audiences and make a real bottom-line impact with their digital signs. We’ve pulled together over 20 years of experience and expertise to help them to do just that. The masterclass series is a useful resource for those considering a digital signage system and organisations looking to improve a digital signage strategy already in place. The guides concentrate on hands-on tips that can be immediately applied, and do not require Visix products or services. A “Digital Signage 101” guide that walks through the system technology, why digital signage works, and all of the stages for successful deployment: buying, planning, implementation, maintenance and future considerations. Moving from system to strategy, this guide gives in-depth insights to help understand different viewers, their motivations and what will engage them, along with communications planning advice and success measurement tips. Get hundreds of content ideas with real-world examples and suggestions. This guide covers DIY content types, automated screen elements, localisation, curated content and subscriptions, as well as gamification techniques. This guide explores how design for digital signs differs from other graphic design experiences, covers design psychology and storytelling techniques, and lays out best practices for text, graphics, layouts, interactivity, accessibility and calls to action. The masterclass series is the latest addition to Visix’s ever-growing library of guides, white papers, infographics, videos and webinars for digital signage users. Interested parties can download the guides at no charge from the company’s website.